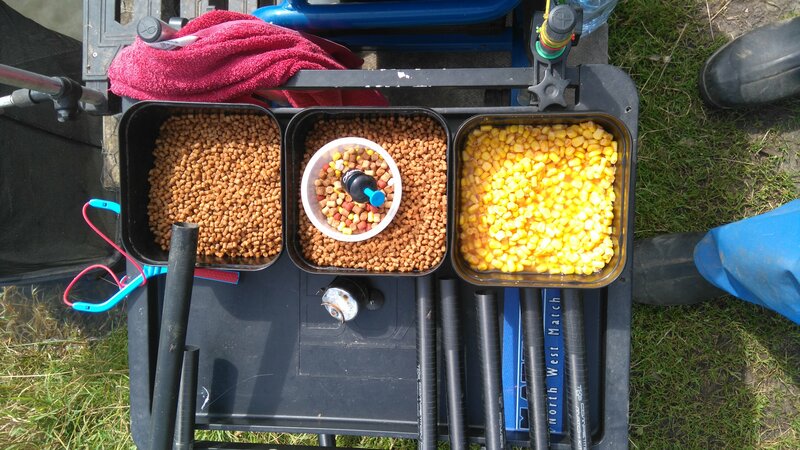 After last weekends good match at Blundells I was eager to get back for another try to with the weather looking promising I was hoping for another good contest but as you all know good conditions for the angler do not necessarily mean that the fish will be feeding in abundance , so after packing the van me and my mate had our usual pre blundells ritual of grabbing a mcds before heading off on our short twenty-minute journey to the fishery , we was both in bullish mood after doing so well in our previous visits and thought that we had sorted a few things out to help improve on our match weights . After parking up on the back car park we had a quick walk around and in the calm sunny conditions I was surprised that there wasnt more fish sunning themselves on trio lake because on the other canals it was black, you could almost walk across the water on pine there was so many on and this should have given me a clue on which waters would fish the best today . On getting back to the cabin we joined the queue to book on then pick a ball to find out which position we would be in to choose a peg and i surely couldn’t get any worse after drawing 55 and 56 on my previous two visits but i then pulled out ball sixty so last pick for me again an unbelievable run of drawing . 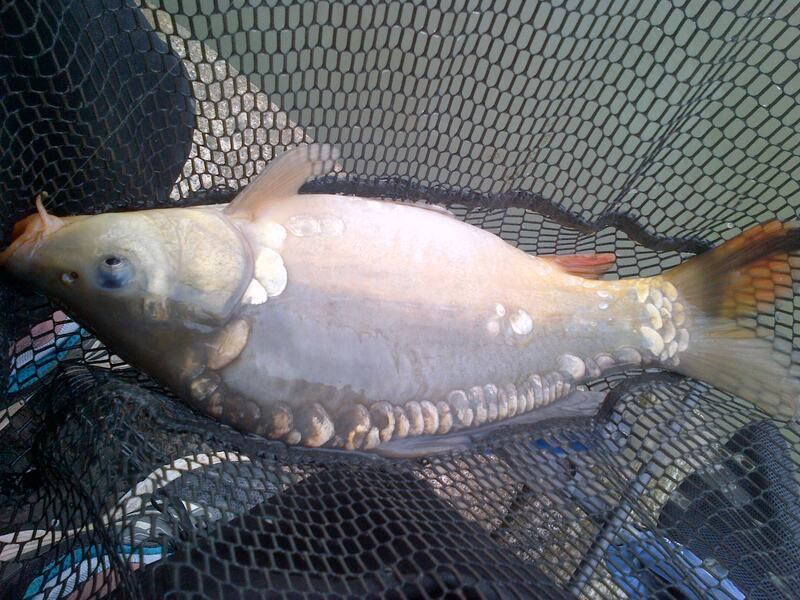 Shallow 2ft+3ft , I used a 02 matrix series three float which had three number eleven stotz spread down the 012 garbo main line and attached to it was a six-inch length of 010 garbo with a size 18 matrix rigger hook with a micro bait band . 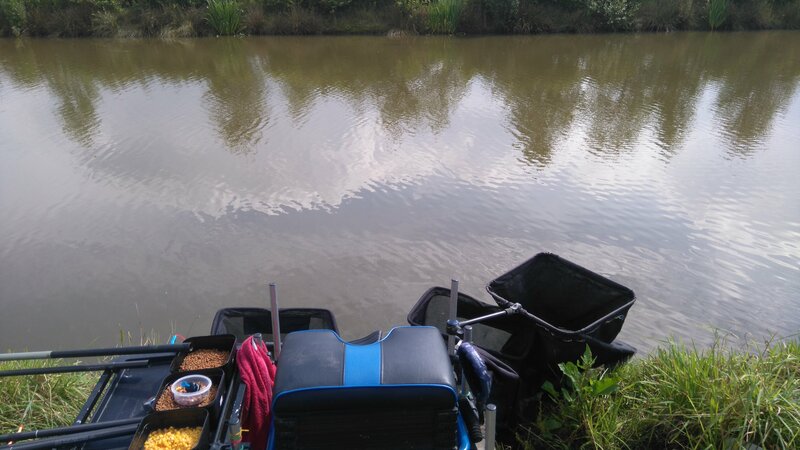 Top three-line , it was only 5ft deep here so I used a lighter 4×14 speedy float with a bulk plus two dropper shotting pattern my main was the usual 014 garbo main line and attached to it was a six-inch length of 010 garbo with a size 18 matrix rigger hook with a micro bait band . Right hand margin in front of the reeds where it was 4ft deep and I used a 4×14 diamond float it was slightly heavy for the depth of water but I wanted it to show positive indications and also with stand line bites, my main was the usual 014 garbo main line and attached to it was a six-inch length of 010 garbo with a size 18 matrix rigger hook with a micro bait band . Left hand margin tight to the mud bank where there was a bit of grass cut bank i plumbed up to find 18 inch deep so i used a 0.4 jadz float slightly heavy for the depth of water but i wanted it to show positive indications and also withstand line bites , my main was the usual 014 garbo main line and attached to it was a six-inch length of 010 garbo with a size 18 matrix rigger hook with a micro bait band . When the match started I went on to my top three-line directly in front of me as i expected to get a few quick f1s+carp but after a couple of feeds i began catching small hand sized skimmers which wasnt a good sign , i persevered on this line hoping that the continued trickle of pellets would attract a better stamp and i did finally manage to catch an f1 but it was foul hooked not exactly the start i wanted . 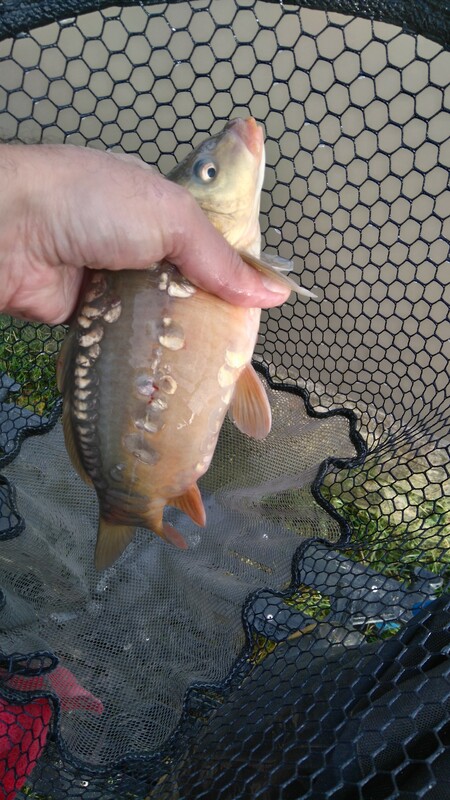 After thirty minutes i moved swims a meter to my right and started trickling the pellets in again , it only took a couple of feeds before i began catching and this time it was a species i wanted to be putting in the net it still surprises me that they will not move a couple of feet even in the summer months , i managed five f1s+carp in a thirty minute spell so it wasnt as good as on my previous visits but upon looking round everybody seemed to be struggling as well . I had fed my six meter shallow line for about an hour so i decided to give that a try because i had seen a few fish cruising past but they was a bit spooky which was only to be expected in the warm still conditions , i hoped that my constant feeding had got a few f1s competing for the pellets but yet again all i could manage was small silvers and with bubbles coming up from underneath my loose feed i figured there wasnt many decent fish in this area . 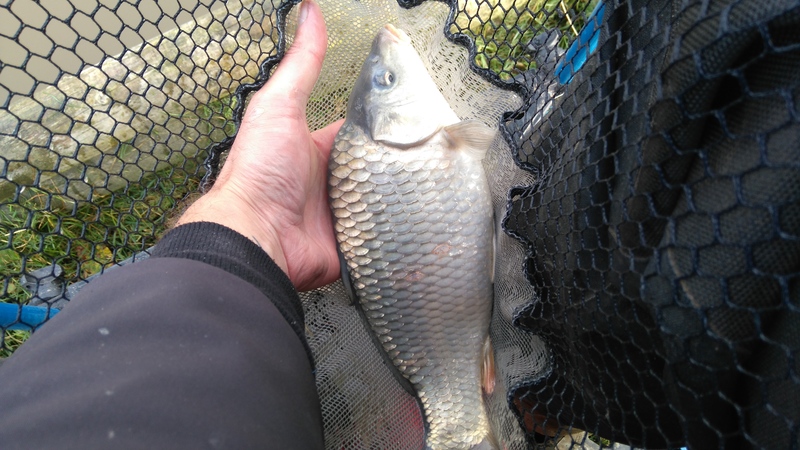 I decided to cut out the loose feed because that was the only thing that i had done differently on todays match and i felt that could be the reason my top three-line wasnt working for me , i replumbed up a new swim five meters to my left well out-of-the-way this seemed to work because i managed another four f1s+carp before they backed off and i couldn’t really go much further as i would struggle to see my float . 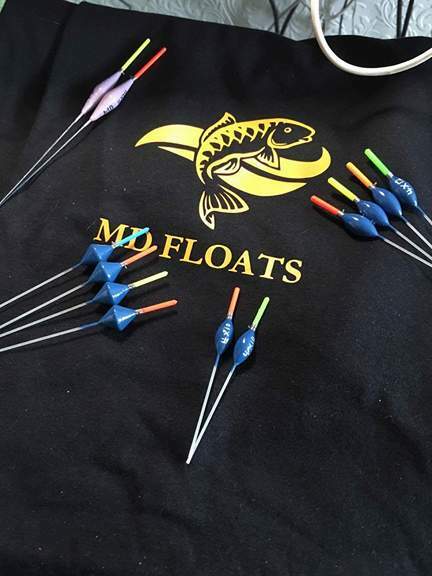 I gave my top three margin swim ago which was at the side of the reeds in four-foot of water and i would usually expect this to produce but how things were going for me today i was not so sure , i began throwing in some pellets around my float trying to use the noise of them hitting the water to help attract a few fish in to my peg and i did began getting indications , yet again it was the small skimmers coming to the net first but after a while the bigger target fish turned up although not in any numbers and things were not going to plan . With two hours of the match remaining i started feeding my left hand margin tight to the grass with corn and this worked well on my previous visit so fingers crossed it would again today , i rotated my swims for another thirty minutes while it settled and i managed to pick up the odd f1+carp from each of them but when i saw a swirl on my grass bank i took the opportunity to pick up my margin rig , i lowered my float slowly tight to the bank and there was fish present but they just did not want to feed because all i got was fish hitting the line then bolting off it was really puzzling as to why this was happening . With just an hour of the match remaining i had no other option but to go onto my top three right hand margin because this was the only area that produced the odd indication but it was only when i tangled my rig and decided to change it for one of my winter f1 rigs that i managed to begin putting some fish in the net(i cant really explain why i made that decision) But it was remarkable on how scaling down my line , hook size , pellet size etc helped me start catching again and in the last forty minutes i couldn’t get in quick enough as i added a further ten f1s+carp to my net , but i did pull out of a few fish ( small hooks and strong elastic isn’t a good combination ) because i was rushing to get them in as i wanted to start clawing my way back into contention for the section but not taking my time cost me as i missed out by an agonising two pounds and my 27 fish went 43lb with the end peg on the split taking it with 45lb . Overall trio pool was won with just ninety pounds and eighty pounds came second then it dropped right down to sixty pounds for third so even though it didn’t fish that great it seemed to be a very fair match with lots of tight sections and i suppose you cant expect to catch a ton on every visit other wise it would just get boring , the other canals fished really well with 160lb winning 150lb second and over a ton for third each of them from different waters and after speaking to some of the regulars that it does seem to happen every once in awhile , i didn’t take a video of todays match as my last two seemed a bit similar although i plan to get out during the week and will hopefully take one then .